A digital license plate, as opposed to a traditional metal plate, offers plenty of convenience features for Laguna Beach and San Juan Capistrano drivers. Learn more about the digital license plate – and why it’s a necessary addition in accessorizing your Jaguar – here at Jaguar Mission Viejo. 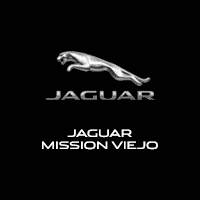 Jaguar Deals in Mission Viejo Have Any Questions? What Does the Reviver Digital License Plate Provide? Registration Renewal – Tired of getting stickers from the California DMV every year? In buying a Reviver Digital License Plate, you can easily renew your tags with the DMV. Customize Your Plate – Get a Reviver Digital License Plate, and you’ll drive around Irvine with flair. You can enable different plate messages on the badge, for example. Plus, if you own a business, you can add custom branding, and personalized messages on the plate! Security and Durability – You won’t have to worry about your Reviver Digital License Plate. With anti-theft and key encryption functionality, this digital plate is designed to be as tamper-proof as possible. Geo-fencing – Set limits for your teen driver with geofencing. This feature will alert you when the vehicle has moved beyond the boundaries you have circumscribed for it. Telematics – With the Reviver Digital License Plate, you’ll be able to locate your Jaguar vehicle, track the date, time, distance, and routes. Accessorize Your Jaguar Further with Jaguar Mission Viejo! Accessorizing your new Jaguar doesn’t have to end with the Reviver Digital License Plate. Take the drive from Coto De Caza to our dealership in Mission Viejo, CA. Contact us today to get started – or to learn more about California driving.